Start the week off right by fueling your body with some essential nutrient-rich foods. Active.com has listed 15 Foods for a Healthy Diet. 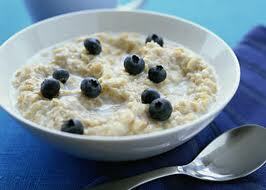 Mix 1 Tablespoon of wheat germ into old-fashioned or steel cut oats and cook according to directions. Drizzle with honey and top with blueberries and sliced almonds. One of my favorites! Top a cooked sweet potato with plain, greek yogurt and sprinkle with cinnamon. Top a bed of greens with black beans, tomatoes, hot peppers, and lean protein. Stir a splash of lemon juice into a 1/4 cup of Greek yogurt. Place the yogurt on top of the salad in place of your typical sour cream. Mix fresh dill and with plain Greek yogurt and place on top of grilled or broiled salmon.